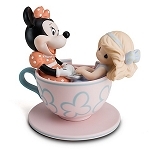 Love is in the air and so is Mickey Mouse in this charming Happiness is Best Shared Together Figurine by Precious Moments. It's a heart-warming Precious Moments figurine for your collection. 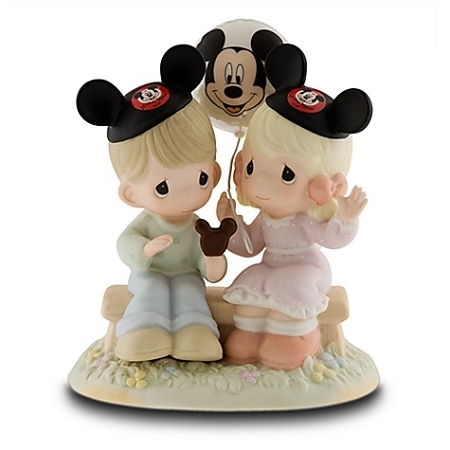 Resort Love is in the air and so is Mickey Mouse in this charming ''Happiness is Best Shared Together'' Figurine by Precious Moments featuring two adorable youngsters wearing their Mickey Mouse ear hats and clutching a Mickey balloon and ice cream. 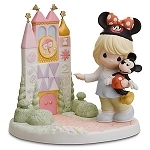 It's a heart-warming Precious Moments figurine for your collection.